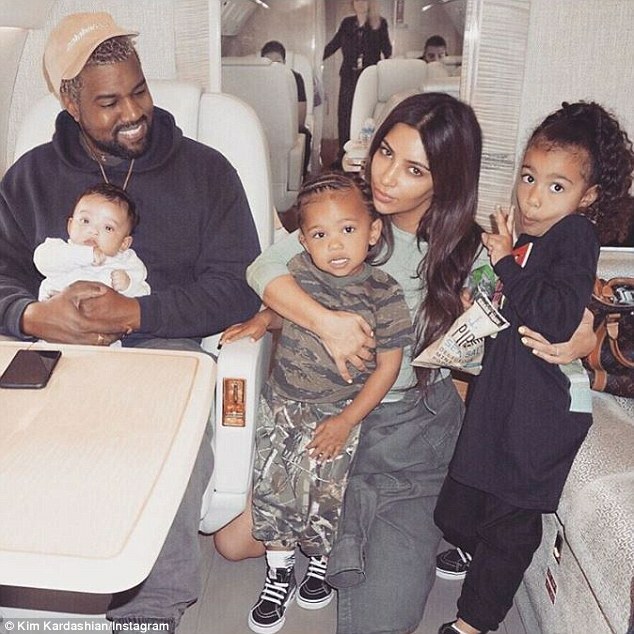 Kim Kardashian and her third husband Kanye West's eldest daughter North is still having trouble accepting the fact that she has a brother Saint, 2; and sister Chicago, 9 months. 'North acts like an only child at all times. I think she's a little confused,' the 37-year-old KUWTK reality star said on Ashley Graham's podcast Pretty Big Deal on Tuesday. Kim's five-year-old princess - nicknamed 'Thrilla' - made her runway modeling debut on the catwalk of the L.O.L. Surprise presentation in Palisades Park on September 22. 'She has a sign on her door that says, "No boys allowed,"' the wrongful incarceration advocate added.